They were advertisements -for ideologies, for empires of thought, for families, dynasties, and institutions of power. But what, you might ask, has any of this got to teach us about marketing and advertising in this, the twenty-first century? Because they were created at the nexus of creativity and power. Creativity that would endure, that would continue to surprise, delight, teach, shock, inspire, move and enthral for hundreds of years. And power beyond anything wielded by today’s corporate clients - the kind of power that could make or destroy reputations, careers, and lives. The kind of power that invaded nations. That could put a man to death. And therein - in this meeting of vast power and sublime creativity - lie the lessons. But let us first start with a truth felt daily by those on the agency side, but rarely spoken of publicly - the last twenty years have seen a profound shift in the balance of power in client-agency relations. The supply-side of marketing communications is over-populated like never before. Simply put, there are too many agencies pursuing not enough revenue. And so, as in any marketplace, the consequence of over-supply is inescapable. The buyer is in the driving seat - the terms and conditions, and the value put on ideas are increasingly set (and even dictated) by clients. This is not some kind of wistful nostalgia for the halcyon glory days of old. It’s just simple - and brutal - economics. One need only look to the steady erosion of agency margins, the increasing prominence of procurement in agency relations, the phenomenon of the unpaid pitch, and the invidious and unilateral extension of payment terms as evidence of this shift. But while clients are more powerful than ever before, the nature of creativity has not changed. It is still a fragile, emotional, personal, mercurial, and unpredictable enterprise, one that cannot be bullied into existence. The fact still remains that fear is rarely a spur to greatness, and brilliance is rarely the product of a set of suffocating edicts and requirements. So the question now for every client is this: How can such power be a force for good? How can it liberate rather than stifle creativity? How can it stimulate the kind of creativity that exceeds the imaginations and expectations of the client and paymaster, rather than that which merely panders to them? How can it achieve its ambitions without fracking to exhaustion the very sources of creativity upon which it relies? In this environment, the patrons of old - those who enabled such genius minds as da Vinci, Michelangelo, Carravaggio, Rubens, Bernini to create some of the greatest works of art in the Western world - have much to teach all of us. There are four lessons in particular that are worth reflecting on, and taking to heart. First, the achievements of patronage teach us to nurture creativity. It is no accident that the word patron, in Latin, means Father.A patron of the arts is one who "begets" and protects the Arts. And while for most of human history art was a servant of power, both political and religious, the patrons appreciated the arts, liked them. Loved them, even. Back in ancient Rome, Maecenas was one of the first and most famous patrons of the arts. While the purpose of his patronage was magnifying and extending the glory of Rome, he was also had a reputation for being more than just The Money, but being a man of taste and judgment. Indeed that appreciation extended beyond the work of the poets he supported, but to them as individuals. For example he happily provided the great Roman poet Virgil with a subsidy that allowed him to write without having to worry about living expenses. Ruthless, avaricious, corrupt, self-serving, grasping, venal, cruel, vain, selfish, greedy, they might have been. But the great patrons of old believed in the power of art. And they believed in the talent of those responsible for creating it. There was nothing half-hearted about the patrons belief in art. And it could make for a difficult relationship. 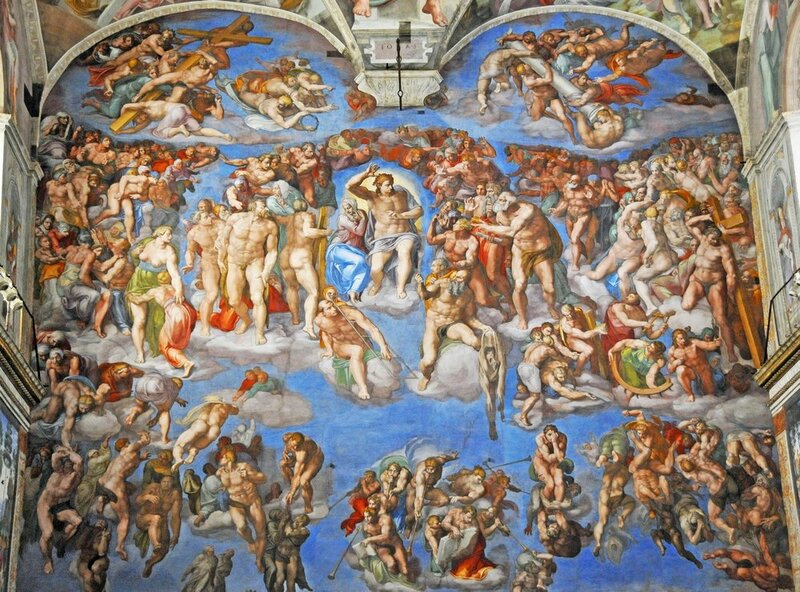 The likes of Michelangelo and Carravaggio were famous for the headaches they caused their patrons. The painter Salvator Rosa once told an imprudent client who had his own idea for a picture to “go to a brickmaker as they work to order”. But it was a friction borne of the patron’s fundamental belief in the power of art. Moreover, patrons did not just commission work - such was their belief in the power of art that they actively worked to develop nascent artistic talent, and to create an audience for its works. Michelangelo was talent-spotted by the Medicis at the age of fourteen. The aristocratic Italian banker, art collector and intellectual Vincenzo Giustiniani was a torchbearer for the intensely ascetic religious art of Carravaggio. Many found his emphatically humble vision of the origins of Christianity troubling. Giustiniani however, worked to advertise Carravaggio’s approach to devotional art, seeking to secure him papal favour. Indeed without this support, many of Carravaggio’s most remarkable paintings might never have been created. Secondly, the achievements of patronage teach us to be ambitious. The patrons of Renaissance Italy were nothing if not full of vision, ambition and purpose. Art existed to serve the needs and agenda of the institutions of power - church, state, guilds, corporations, and families. So whether it was appreciation, awe, reverence, piety, humility, envy... patrons wanted to have an effect on an audience. Full of ambition and purpose, Bernini’s Ecstasyof St Theresa was born of Conaro’s resistance to the reforms of Martin Luther that treated religious imagery as evidence of worldliness and corruption. In contrast to the Protestant belief that the written word was what mattered, it was work of art born of a belief in the power of imagery to inspire the faithful. But it goes beyond this, for it dared to embrace mysticism - the possibility and desirability of an individual union with God. Something that the both the Protestant and Catholic Church unsurprisingly found deeply threatening. And yet here she is, reclining on a cloud, her head thrown back in a sigh and her chest offered for yet another thrust of the arrow from God's angel, all with Cornaro and members of his distinguished family looking on. Third, the achievements of patronage teach us to be generous. If there is one thing that characterizes patrons across the ages, it’s their willingness to lavish cash on the artists and their projects. Luxury spending flourished in Italian courts and cities even as the country's wealth was ebbing.So even while Italy was being sidelined by the discovery of Atlantic trade routes in the 16th and 17th centuries, such was their commitment to the arts, that the baroque popes lavished cash on marble and invested in the genius of Bernini. 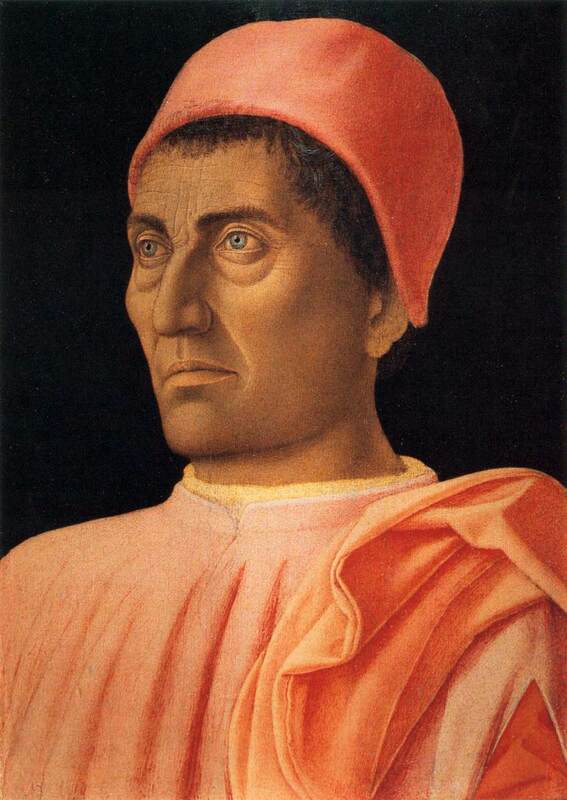 Over a period of 37 years Cosimo Medici spent a sum equivalent to 10 million dollars supporting the arts, building churches, villas, the Medici Library, and aiding Greek scholars who were fleeing Constantinople in 1453. Let us remember that most of the world's great works of art are the fruit of spendaholic patronage by magnificos who knew how to tell the accountants where to go... The best argument in favour of generosity is that no one remembers a skinflint fondly." And finally, the achievements of the patronage teach us to build to last. We operate in a corporate world handcuffed to quarterly reporting cycles, in which the average tenure of the CMO is just forty-three months, which still struggles to grasp the fact that sustainable, profitable brand-building is a long-term undertaking, and is aided and abetted by a communications industry that fetishizes short-term bumps, blips and buzz. Consummate brand builders, the patrons of old created not just for the here and now, but for generations hence. The cathedrals of medieval Europe are a vivid example of the concerted and sustained patronage of prelates, kings, nobles, merchants, craftsmen, guilds,and their will to see the glory of God permanently and physically embodied. So, dear clients. You are wealthy. And you are powerful. But when it comes to to creating an environment in which creativity can flourish, you are perhaps in need of new heroes. New role-models. And a new standard. For power is just as capable of stifling creativity, as it is in liberating it. 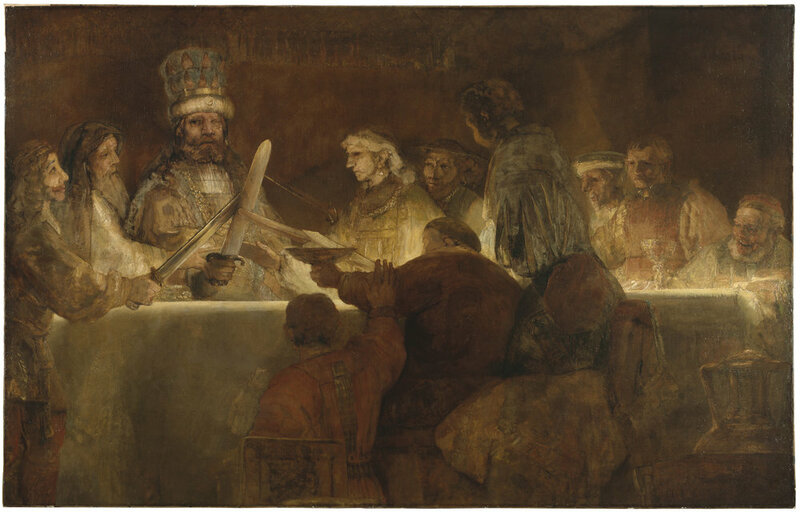 The relationship between power and creativity, between mammon and the muse has always been a complex one. Good clients - be they emperors, kings, dukes, popes, cardinals, bankers, and yes, even marketers - have always been alive to this truth. However as the possibilities of our creative revolution continue to expand and bloom before our very eyes, more clients - if they wish to take advantage of them - will need to wake up and accommodate themselves to the very real risk and potential of their own power. This is most certainly not to indulge in the lazy fantasy that clients become pliant, fawning “I love it, run it!” pushovers. The relationship between patron and artist after all, could be a famously fractious, even combustible affair. Nonetheless, how to exercise a much expanded power in a way that properly stimulates creativity rather than fracks it to exhaustion feels like one of the more urgent issues before any corporation. And in a world in which the explosion of creative possibilities has been matched by an expansion of corporate power, those who exercise the levers of finance and power could do worse than think and act like a patron. For when married to creativity, intelligent, nurturing, generous power, power with taste, ambition, and vision, is capable of achieving marvels.